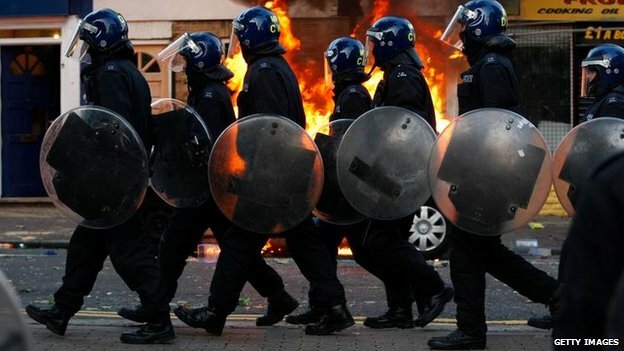 Every police force in England and Wales is preparing for major budget cuts over the next five years, the BBC has found. Forces are facing a 5% cut in government funding in 2015/16 and more cuts after the general election. Some forces are planning to reduce officer numbers to help them operate on smaller budgets. To lessen the impact, 34 forces plan an increase of the precept – the part of the council tax put towards policing – over the forthcoming year. Gwent’s Police and Crime Commissioner (PCC) Ian Johnston said the scale of planned cuts has not “been understood by the public or politicians”. His force is facing a deficit of £18.9m by 2018/19. But former policing minister Damian Green said forces could do more to save money. 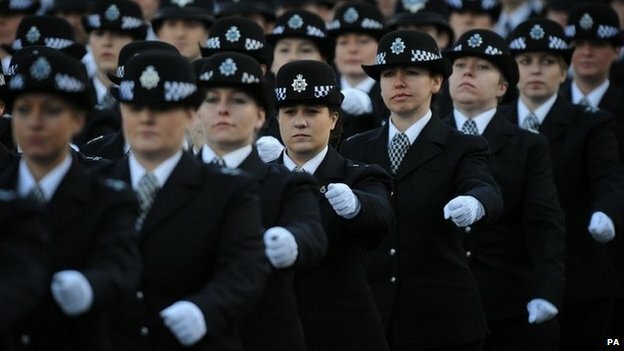 The expected budget cuts come after a reduction of 20% since 2011 in the amount spent by the Home Office on the police. After 2015/16, all forces are bracing themselves for further cuts amounting to hundreds of millions of pounds. The exact level of savings required will depend on the outcome of the general election. In Cumbria, under the PCC’s “change programme” to deliver savings of £10m by 2019, the force will be “resolving some issues to the satisfaction of callers without deploying an officer to the scene”. Proposals from Hampshire’s PCC, Simon Hayes, say that operational policing “can no longer be ring-fenced” and that front-line services “need to be reduced to meet the financial budget”. Home Secretary Theresa May has warned there will have to be further cuts if the Conservatives form the next government. She has suggested integrating the three emergency services – police, fire, ambulance – is one way to save money. Labour says it will help police forces find significant savings by reducing the costs they pay for equipment, IT and other services. 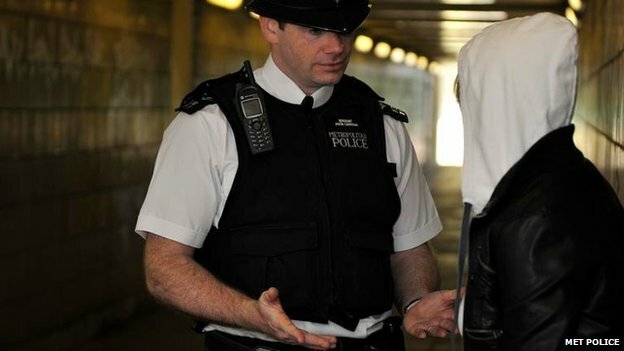 Peter Vaughan, acting president of the Association of Chief Police Officers, said falling crime levels do not mean police forces need less money beacause “if I look at my own force, for example, crime is only 28% of what we deal with on a daily basis”. Greater Manchester PCC Tony Lloyd said the government should look at funding cuts again. 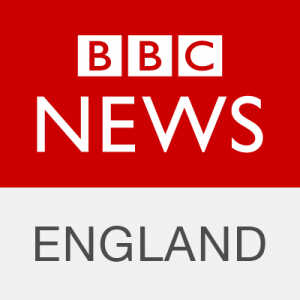 He told BBC Breakfast there had been 8,000 officers in his force as recently as 2010, but there could drop to 5,500 “if the present projected cuts go ahead”. Such a reduction would be “a huge change in police numbers”, he added. Shadow home secretary Yvette Cooper said Tory plans threatened “serious risks to policing and community safety”. The analysis also shows that the precept will increase in three-quarters of areas in the next financial year to offset central government cuts. Of the 34 forces planning to increase the precept, 30 will do so by just under 2%. In most cases it is thought that will mean householders having to pay a few pounds more each year in their council tax – on top of any other rises imposed by local authorities. That is a significant threshold as PCCs in England who want to raise the precept by 2% or more have to hold a referendum – which is what Bedfordshire’s PCC, Olly Martins, is doing on general election day. He is proposing a precept rise to maintain police recruitment and plug a £6m budget gap in 2019. “A rise of 15.8% would restore effective neighbourhood policing in all areas and balance the budget until beyond the next Parliament,” he says on his website. In Wales, which has different rules, three forces will increase the precept by between 3.44% and 5% – while it will be lowered by 5% in Dyfed Powys, the only Welsh force where there will be a reduction. Many PCCs say further cuts will inevitably mean fewer officers, as most policing costs go on staffing. The number of officers currently stands at 127,000 – the lowest level since September 2001 – though Labour promise to reverse planned cuts of 1,100 officer posts in 2015/16. Lancashire’s Commissioner, Clive Grunshaw, says by April his force will have lost 700 officers and 500 staff – losses that he claims could double by 2020/21 if the cuts continue at the current pace. But some PCCs appear to be rising to the challenge of making savings. Suffolk Police’s Commissioner, Tim Passmore, says the force is undergoing a “radical service redesign so that the constabulary can continue to keep people safe”. The redesign includes “continued collaboration” with Norfolk Police. Other so-called “strategic alliances” include Warwickshire and West Mercia, Avon and Somerset and Wiltshire, Devon and Cornwall and Dorset, and South Yorkshire and Humberside.